This is one of the most common fractures of the elbow. A fracture line, that is almost inapparent, traverses the joint surface of the head of radius, apart from mild depression, there is no other dislocation. 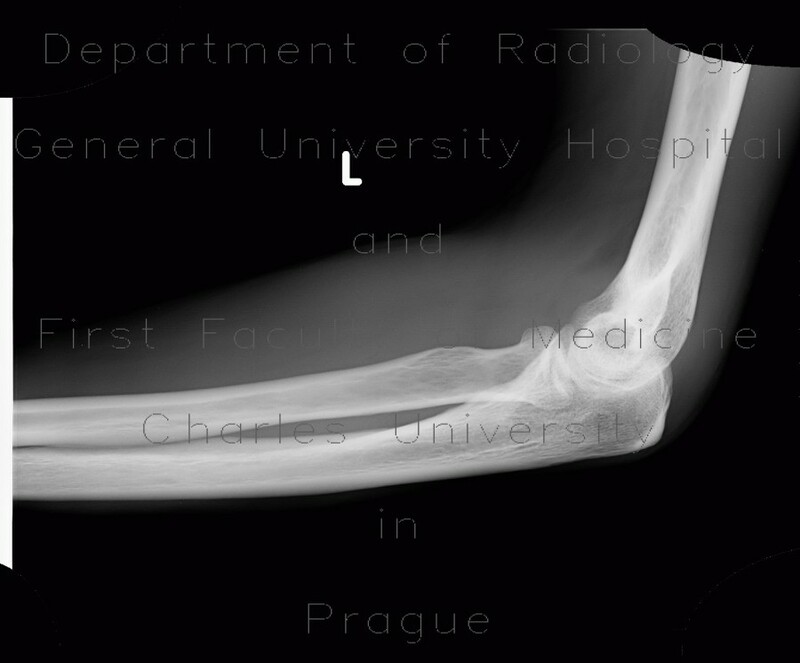 However, the anterior fat pad is elevated and forms a triangular lucency anteriorly to the distal humerus, which is a sign of fluid in the elbow joint and this is indicative of trauma.